Midnight solitude on Muhur Bay, Lake Baikal, Siberia. It was a result of passion; our evening at Muhur Bay. Art, possibility and camping gear aligned like Orion’s winking belt, and delivered us to the shore of the bantam sea, or “Small Sea” strait that is separated from most of Baikal’s impossible gallons by mysterious Olkhon Island. Siberia’s black velvet is pierced by vibrant light; Baikal’s fathoms are mirror-like, reflecting the galaxy’s darkness back into a moonless night, magnifying countless crystal suns. Awesome. Our intrepid crew each burn with a passion to capture impressions of transcendent wonder in a digital box. Tonight we are three star hunters. Oleg, my old friend from Irkutsk, is a contractor, and budding photographer. Alexander, a new friend from Ulan-Ude, is photo-correspondent for our local news agency, and this Alexander, whose longing since boyhood is to sail among the cosmic luminaries. Alexander talked us into three empty seats on a bus hauling volunteers to evening berths, 50 km north from the ethnic festival we were covering. Alexander and Oleg, about to hop the bus. Our northern hemisphere’s June evenings have been set aglow by Venus and Jupiter dallying on the western horizon. My desire to capture them over Baikal was thwarted by the hurry up and wait of festival admin drama. But hey! Do yourself a favor and look west about forty-five minutes after sunset, while it is still June. When you see Venus, you will know why she is goddess of beauty. Above her and left, about the width of your fist held at arms length, Jupiter shines golden. Regardless of my missed rendezvous with Venus and Jupiter, the whole priceless sky had revealed herself, and Saturn remained all night. Original works of interstellar jewellery, the pearls of Cassiopeia, the Corona Borealis, Pegasus, and the Big and Little Bears (Dippers) glistens in our lenses. I can see for miles and miles and miles. Campfires have sprung up around the western end of the bay, speaking back to starlight. The boys made for a boat in dock shining sweetly in lights in Muhur Bay. But the proximity of fire on the beach under the starlit universe transfixed me. Two Russian families were absorbed in the warm glow of firelight discussion. I asked permission to photograph their vodka enhanced reverie. They accepted, expressing astonishment at an American appearing out darkness at their campfire. Russian friends enjoy a pleasant June evening under the stars. The Milky Way over tour bases and campfires on the Western horizon beyond Muhur Bay. Like the beginning of a good thriller, this photo suggests the otherworldly sound of the approach of the fearful unknown. And that is the night’s tale. The star hunters shuttled between shore and campfire, between the silent solitude of water lapping a stellar sky, and laughter around a friendly fire. The sun began painting the eastern sky at 2:30 am. It was a battle to turn in, as pinks and oranges rallied toward Saturn’s early morning perch. I set my alarm for four thirty, to capture sunrise on Baikal, a phenomenon not to be missed. Two days of road weariness conspired to hood me in sleeps realm. At 5:15 the insistent solar star roused me. The sky was already bright as day. Silver water set off the charcoal shore that faded by degree in lightening shades of grey toward the horizon. We couldn’t keep our fingers off the shutter buttons, such was the morning’s magnificence. Finally we opened cans of silky pacific caught saury, to eat with black bread. We packed our tent, collected our camera gear, and hightailed it back to catch the bus full of sleepy headed volunteers. Our star hunt was successful; we were witnesses to wonder. Muhur Bay, Small Sea Strait, under the morning shine of our Solar star. 5:49 am. A fisherman works the silver waters of Muhur Bay, on the Sacred Sea. The mysterious Isle of Olkhon lies behind him. Siberia: unfortunately off-season in most people’s minds. This entry was posted in Nikon D800, Photography, Travel and tagged Baikal, Dawn, Irkutsk, Lake Baikal, Maloe More, Milky Way, Night photography, Planets, Russia, Siberia, stars, Ulan-Ude by www.transformsiberia.com. Bookmark the permalink. You got it! 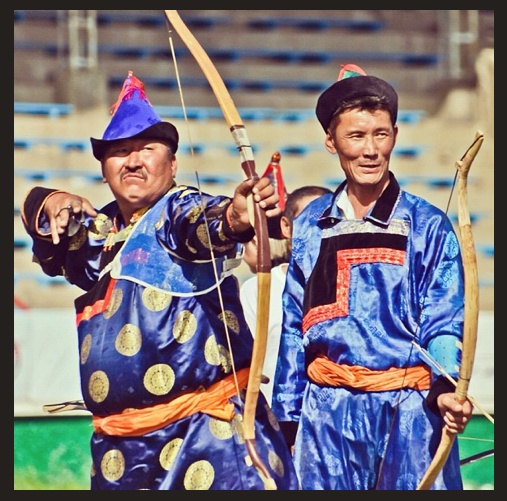 Look for a post about Olkhon soon. Just got back. Thank you for reading.